Sønderborg is the name of a town and a municipality in Southern Denmark, around 20 minutes drive from the Danish-German border. The municipality has 76,000 inhabitants and 27,000 of them live within the town. The town is located on both sides of Als Sound (Alssund), that divides Jutland the peninsula and the island of Als. The main part of the town, including the historic town centre is on Als. The town is centered around, and named after a castle that has been in this location since at least some time before the 13th century. 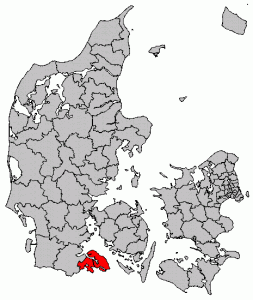 The town was central in the Second Schleswig War and was part of Prussia and later Germany until 1920 when it according to a referendum returned to Denmark. Today the city has parts of University of Southern Denmark‘s campus, the army’s sergeant school and a number of other vocational colleges. This site has given me so many ideas of what to see in Denmark! I’m an American student who will living in Copenhagen for the fall semester. Do you have any recommendations of cities to see besides Sonderborg? Also, how easy is it to travel within the country and what is the best way to get out Copenhagen to explore? It is relatively easy to travel in Denmark, mainly with trains. It is not that cheap, but there are ‘Orange ticket’ (advance tickets) and Orange sviptur tickets (139DKK for a train ticket to travel in a region on certain days) that can make it cheap. I would say train is best for travel in Denmark, and probably plane to get outside. As for other cities…I must admit I seen all that much of Denmark yet! I really did like Egeskov castle on Fyn though.